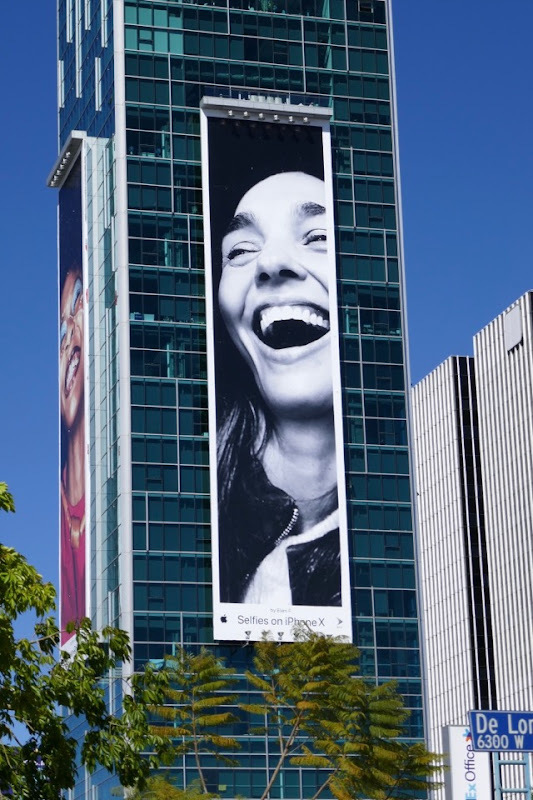 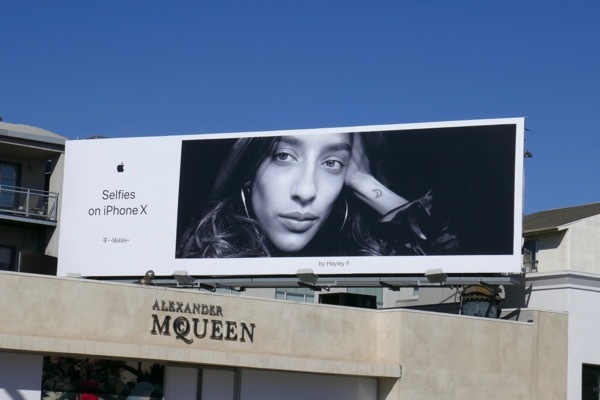 Not only does Apple continue to update and improve their smartphone technology and features, but the tech giant continues to evolve its outdoor advertising campaigns. 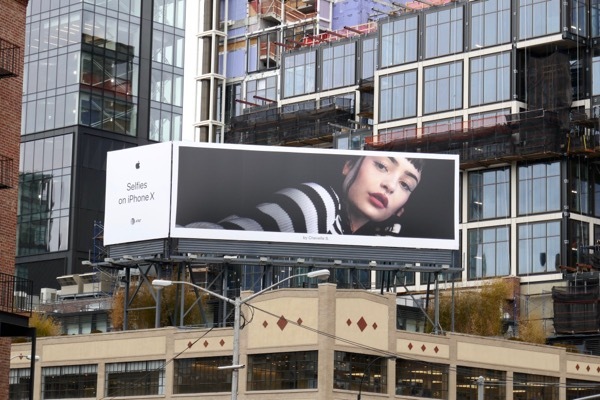 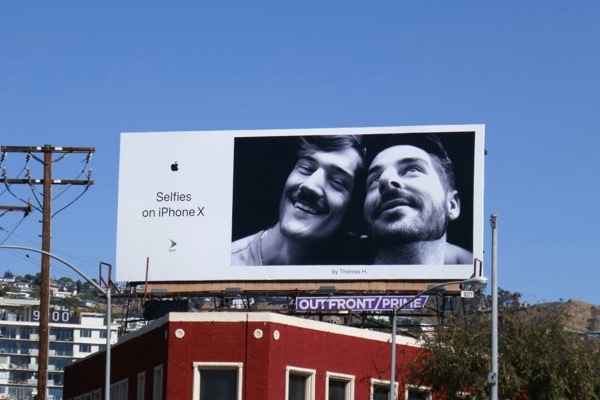 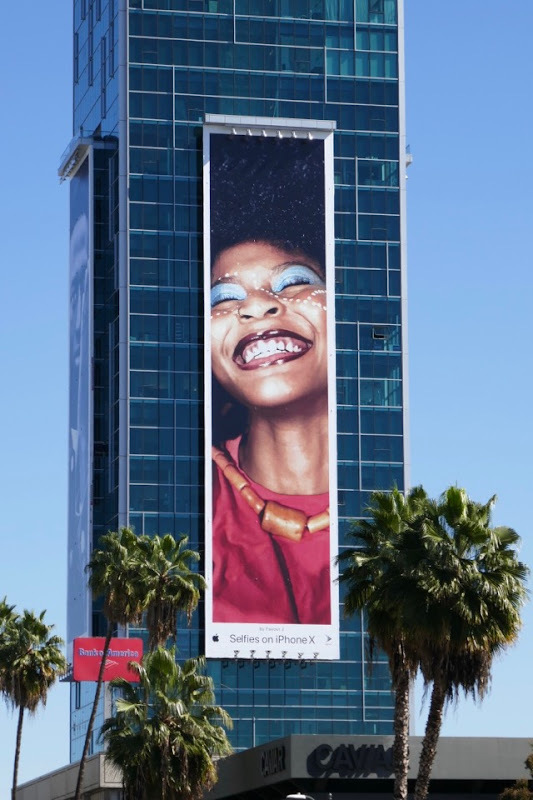 These Selfies on iPhone X billboards are the latest iteration in the Shot on iPhone series and these ads highlight the enhanced Portrait Mode photography options of their newest smartphone. 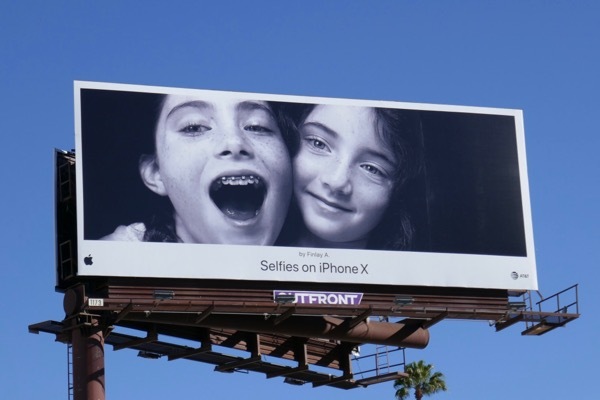 These billboards are perfect for the selfie generation who love posting on Instagram, Facebook and Snapchat and filtering their photos. 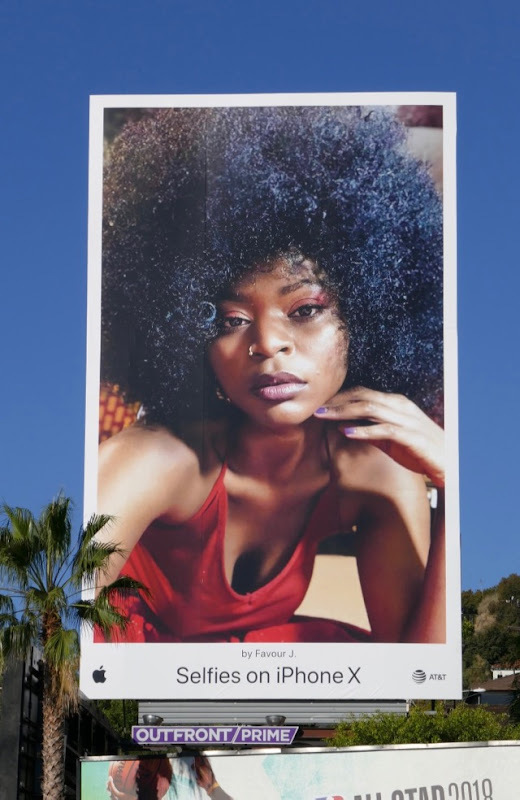 The campaign features photography in vibrant colour and black and white imagery, plus a diverse range of subjects in terms of age, genders, ethnicity and relationships. 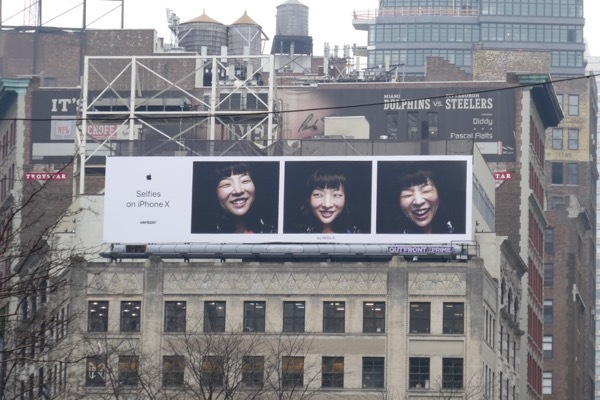 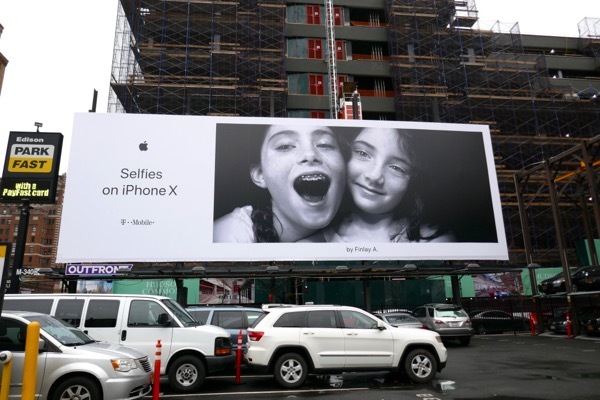 These Selfies on iPhone X billboards were photographed around the streets of Manhattan in New York on February 15, 2018. 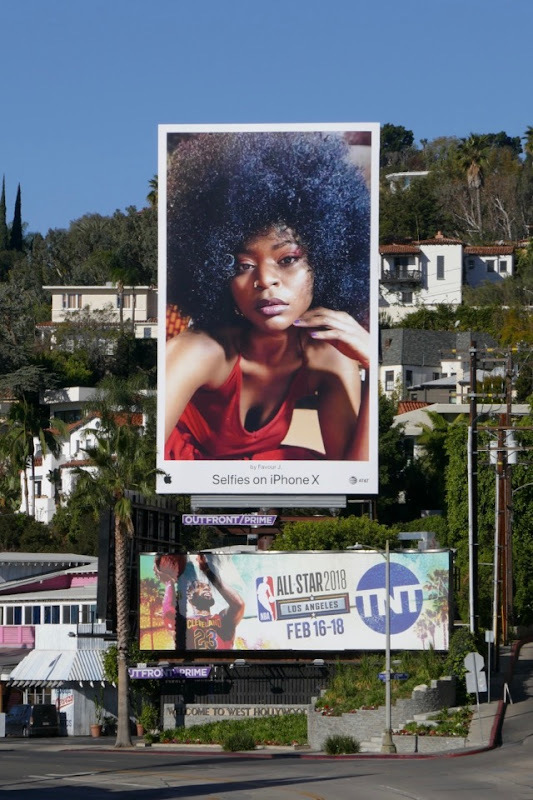 Meanwhile another selection of ads were snapped in the skies of L.A., including along Melrose Avenue, Beverly Boulevard, Bundy Drive, Santa Monica Boulevard, Hollywood Boulevard and Sunset Boulevard from February 19 to February 25, 2018. 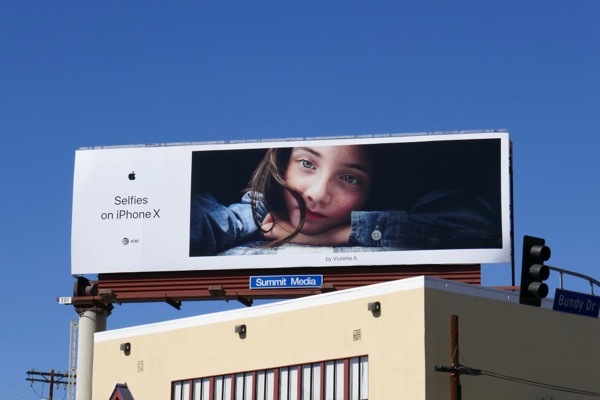 It'll be interesting to see how much longer Apple can continue using this advertising approach and keep it fresh, especially as other competitor devices like Google's Pixel 2 are emulating this outdoor strategy with their Portraits. 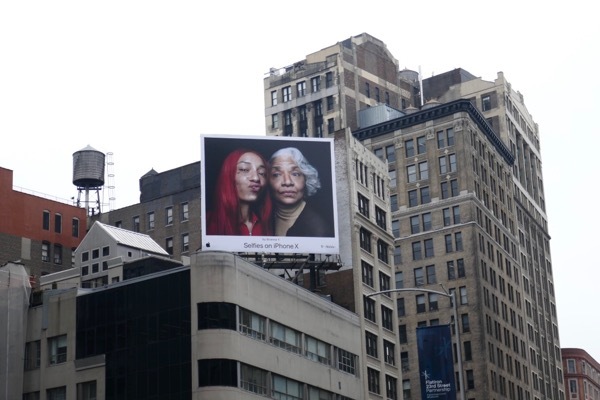 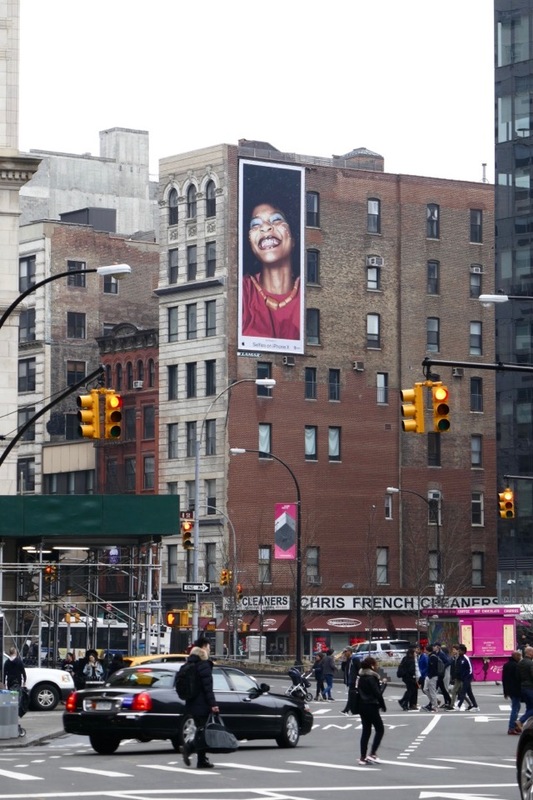 Through the lens of Pixel ad campaign. 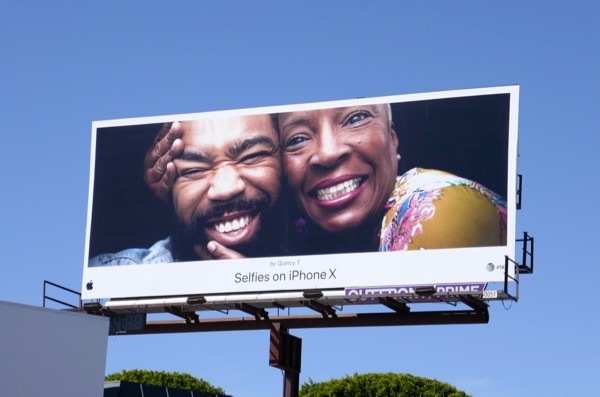 Until then, bask in the glory of all these eye-catching selfie-themed billboards on both the east and west coasts of America. 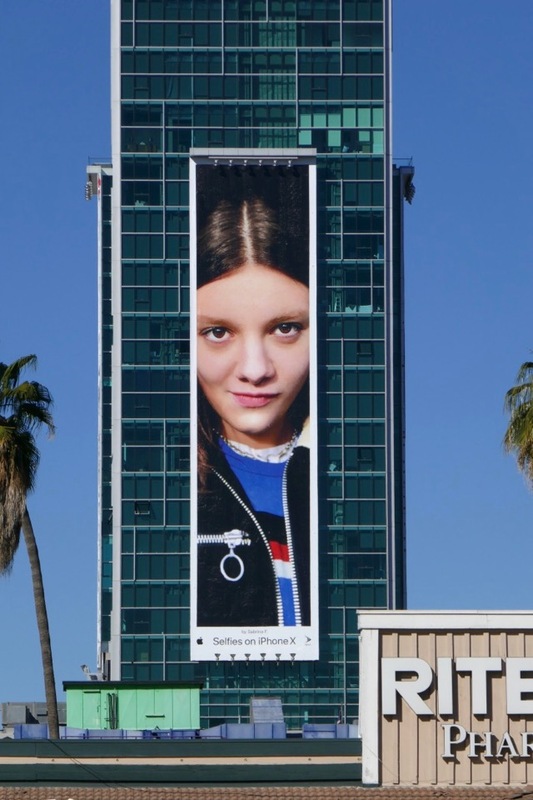 UPDATED: Here's more striking billboards from the new campaign snapped at Hollywood's Sunset Vine Tower on March 4, 2018. 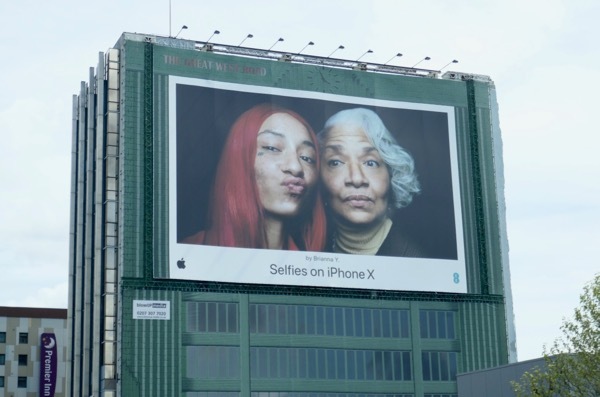 UPDATED: Here's another giant-sized billboard from this global Selfies campaign spotted heading into London in the U.K. on the Great West Road on May 3, 2018.